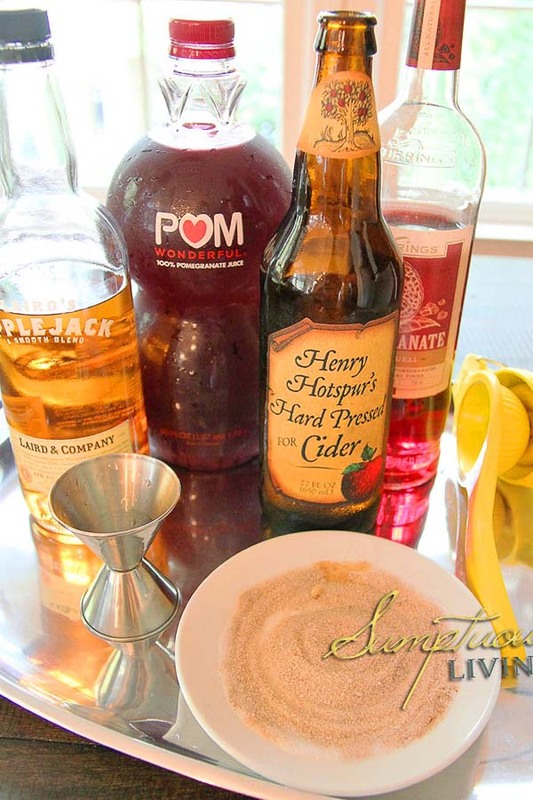 I have been thinking of how to incorporate a hard cider into my cocktail madness for a while. Actually, this lovely bottle of Henry Hotspur’s Hard Pressed Cider has been kind of mocking me from behind the refrigerator door. I kept circling back to pairing it with pomegranate flavors. I was in hot “Pom Pursuit” (get it? Hot Pursuit, Pom Pusuit, anyway) for this hard cider. Thankfully, with the help of Laird’s Apple Brandy, Stirring’s Pomegranate Liqueur and POM Wonderful, I nailed it. All you need to do is measure the pomegranate juice, a bit of lemon juice, pomegranate liqueur, and brandy into a measuring glass. Add the hard cider and stir. 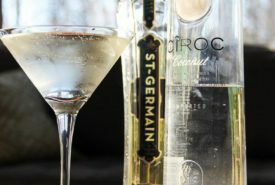 But before you pour the cocktail our over crushed ice and garnish it with a lemon twist, let’s make our glass pretty. No cocktail is complete without a gorgeous sugar rim. Kinda like the leaving the house without your jewelry (my yoga pants and sweatshirt look is never complete with out a set of chandelier earrings!). 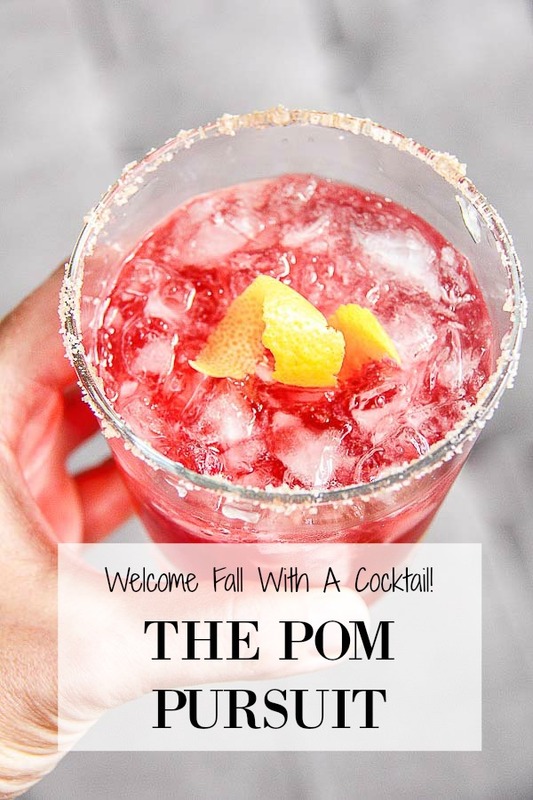 Our Pom Pursuit pomegranate cocktail has an apple pie spiced salted sugared rim. You heard me! You’ll be lapping up the side of your glass all night long! 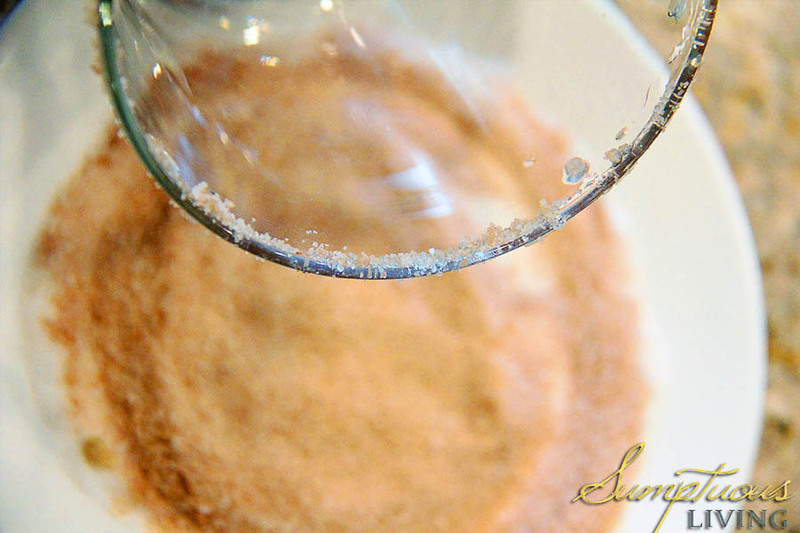 This sugar rim is so tasty and easy to make. 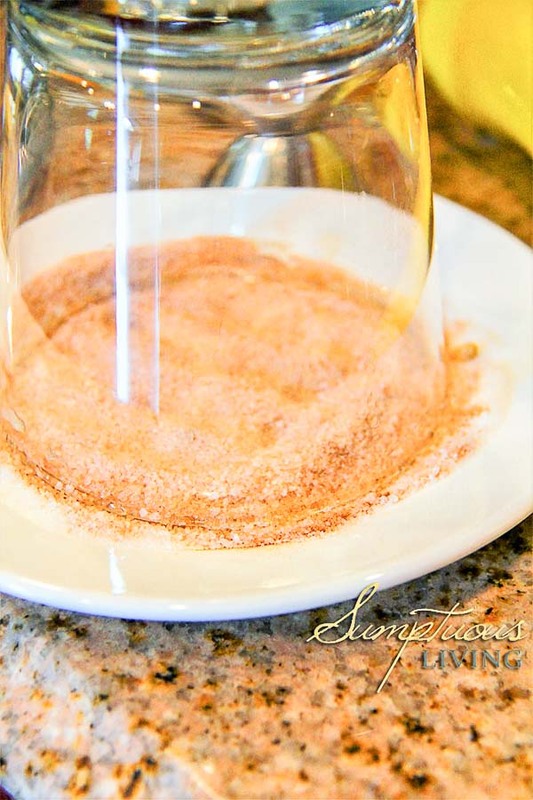 Simply mix together Sugar, Apple Pie Spice, and Kosher Salt (remember Iodized salt is only for soaking your feet!). 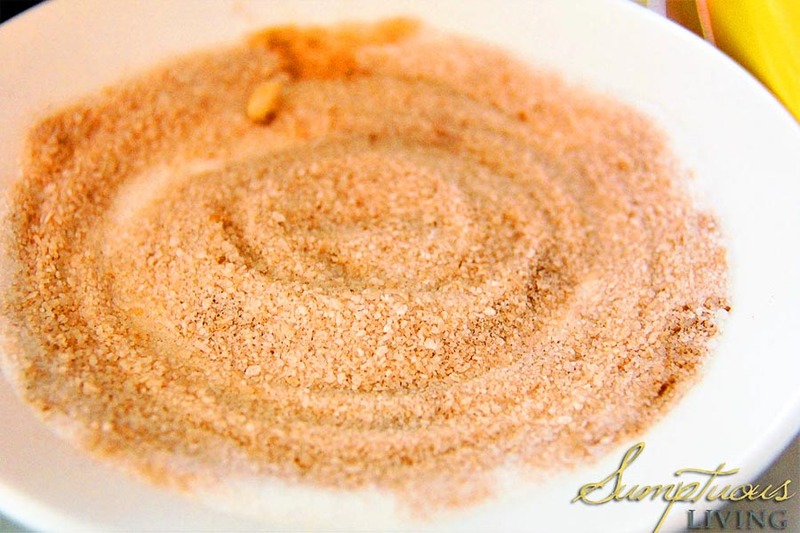 Rub the rim of the glass with a lemon wedge then dip into the spiced sugar. 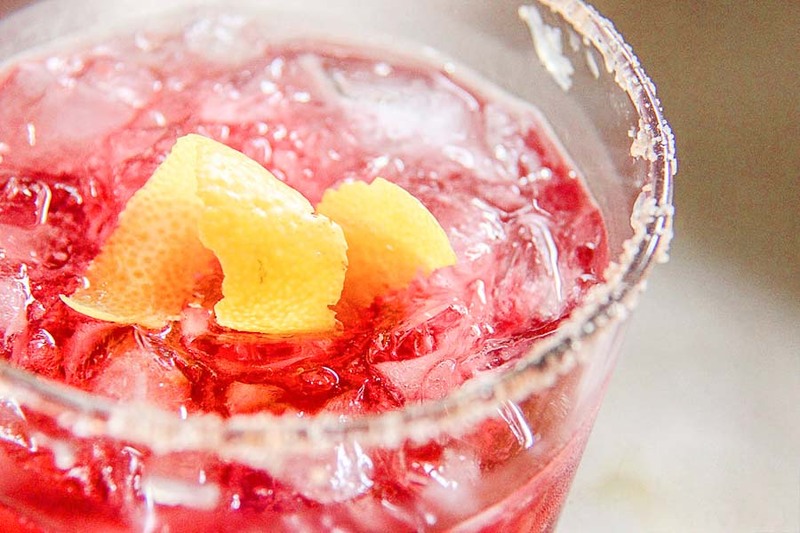 The little bit of salt balances the sweet and tangy pomegranate juice in this cocktail and the apple pie spice adds that fall kick. So that’s it. 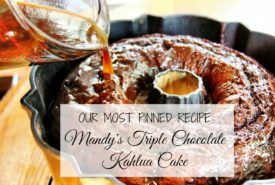 Easy breezy and so deliciously perfect for cooler weather. I hadn’t played much with hard cider in cocktails before but I’m loving this and can’t wait to create more! Thinking a shandy like this one would be great too. 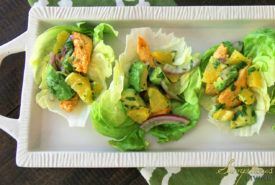 Try it for your next fall dinner with friends or just a night by the campfire. Happy Friday Everyone & Happy Fall! Try it for your next fall dinner with friends or just a night by the campfire. 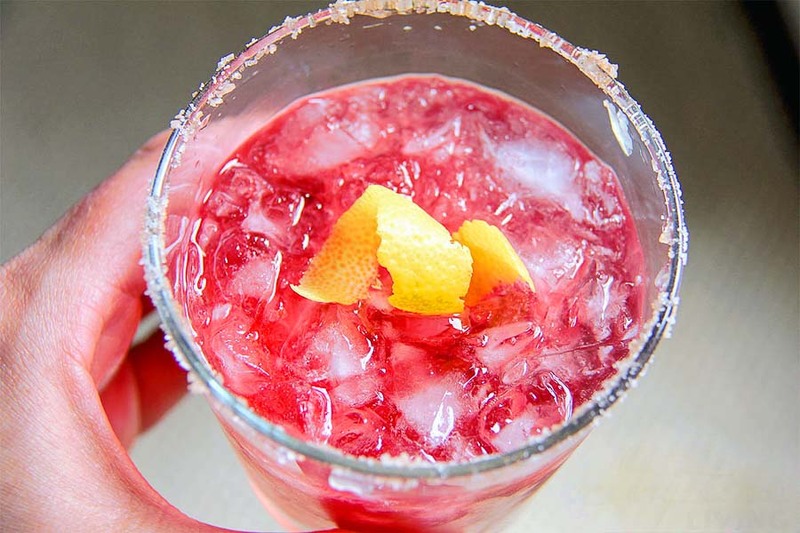 Mix cider, brandy, liqueur, pomegranate juice and lemon juice. Pour over crushed ice into a sugar rimmed glass. In small bowl, mix all ingredients. Run lemon around rim of glass. Dip glass into sugar mixture.